When: Sat., April 27, 10 p.m. 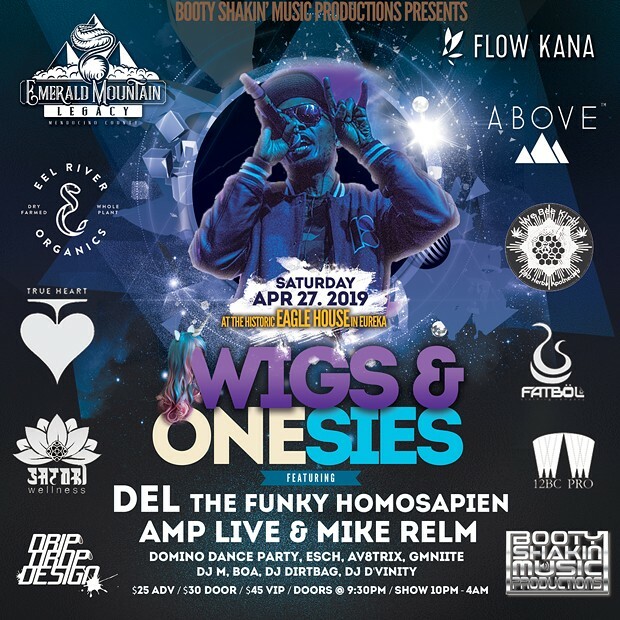 Booty Shakin' Music Productions Presents: Wigs & Onesies, featuring DEL The Funky Homosapien, Amp Live Mike Relm Domino Esch Av8trix GMNIITE DJ M BOA DJ Dirtbag DJ D'Vinity SATURDAY APRIL 27TH, 2019 The Historic Eagle House $25 Advanced Price $30 Door Price $45 VIP VIP Tickets Include: Access to VIP Bar/VIP Viewing Area & VIP Stainless Steel Commemorative Cup!! 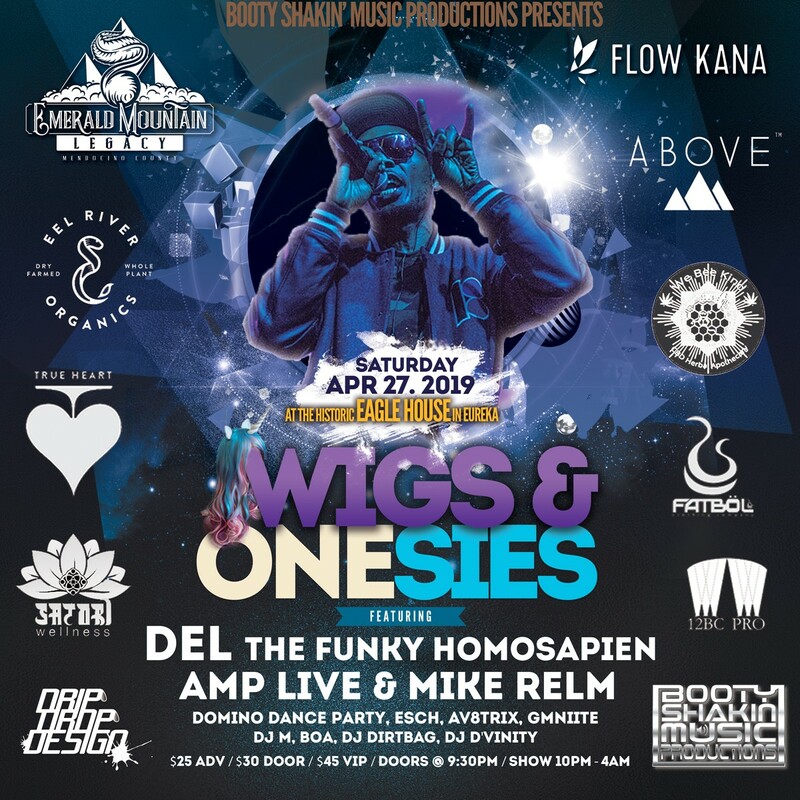 Doors@ 9:30/Show @ 10PM-4AM Tickets also available Wildberries Marketplace, People's Records, Fatbol in Arcata & The Works in Eureka. Big Ups to Our Proud Sponsors!! #EmeraldMountainLegacy, #FlowKana, #FatbõlClothing, #Trueheart, #WeBeeKind, #Above, #EelRiverOrganics & #SatoriWellness! !